Four of the country's most scenic national parks are within an easy drive from Sin City. 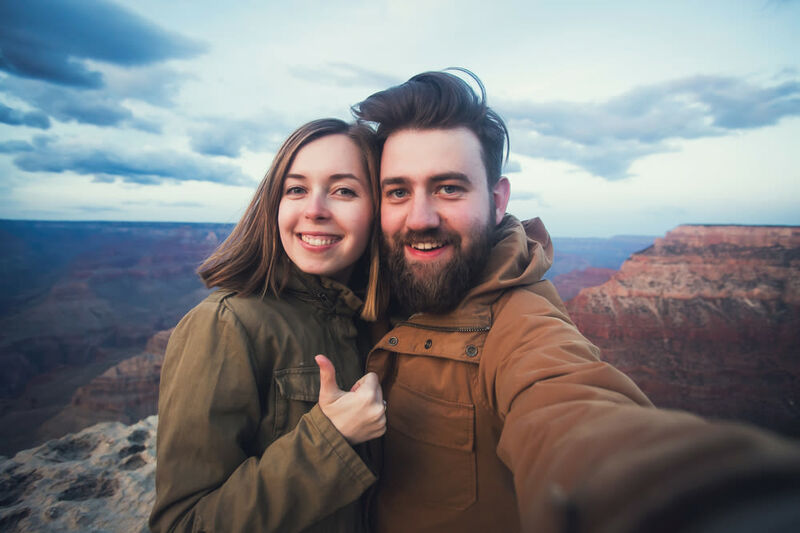 Get out of Vegas and make some new memories in the National Parks nearby; what's modern life these days without a Grand Canyon selfie? You've probably seen the zombies in Vegas. They aren't the flesh eating kind you might expect when you think of the undead, still you can usually recognize them: hollow, sunken eyes staring blankly at a slot machine, or dragging their stiff corpses through the casino at 4 a.m. If you're not seeing the zombies, the zombie might be you. Las Vegas can be a blast for a few days of gambling and shows, but eventually Sin City can take its toll on even the hardiest of travelers. What do you do when you've already seen Carrot Top three times and the ATM knows your name? Road trip! Many travelers don't realize how accessible Las Vegas is to some of America's top national parks. 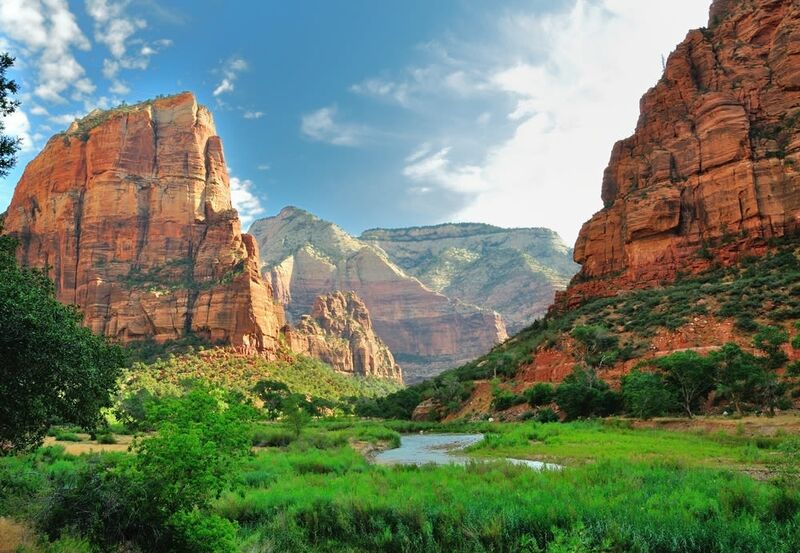 Zion National Park is only three hours from Vegas and is one of America's greatest parks. You can drive through the middle of it in about an hour but its real treasures are only accessible by trail. During the high season, shuttle buses will take you to the far reaches of the park to begin your adventure. Angel's landing is a four-hour hike and considered to be one of the best (and scariest) hikes in North America. There are six other well marked trails throughout the park, with some taking just as little as half an hour to complete. Zion National Park looks like a continuous Albert Bierstadt painting come to life. 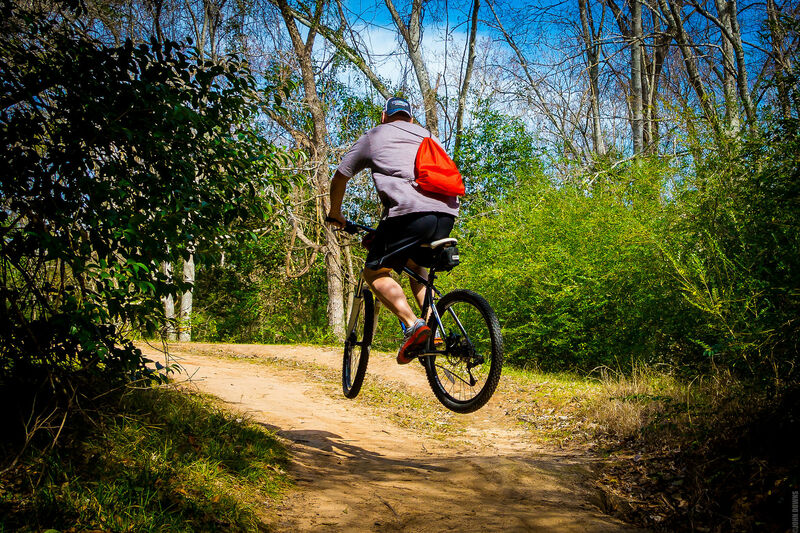 If that still seems too difficult, there are plenty of viewpoints where you can pull over and do a little exploring just a few minutes from the safety of your rental car. The drive is beautiful and has rewarding views of wildlife and cool geological formations. We saw a herd of rams that let us get within a few yards of them before they headed for the hills. I felt like I was in a Dodge commercial. Zion's winding roads also explore the bottom of its canyons, where you'll find yourself looking up at the majestic cliffs that surround its valleys. 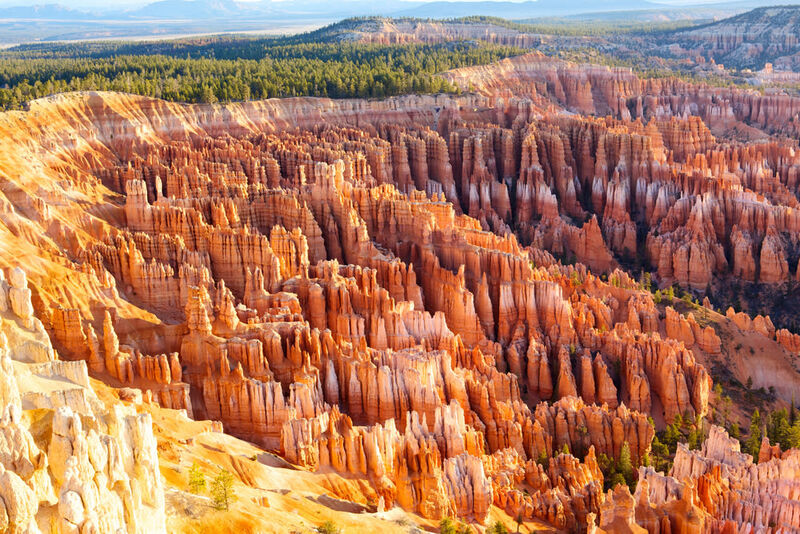 Bryce Canyon National Park, on the other hand, is the exactly the opposite. When you arrive at the park, you're at the top looking down into the canyon. The trails either skirt the rim or take you into its otherworldly red rock scenery; Bryce's beauty is found in the thousands of red hoodoos that dot its canyon floor. Like giant sandcastles of red twisted spires, the canyon is an amazing site. The trails at Bryce Canyon are shorter and less challenging than Zion and every turn reveals a breathtaking viewpoint as you descend into the valley. There's even small restaurant that serves great elk chili near the entrance. And because you can find accommodations in both parks, it's entirely possible to do a quick overnight trip from Vegas and visit Zion and Bryce together. The famous, hoodoo-filled amphitheater at Bryce Canyon National Park. It's also possible to visit the Grand Canyon National Park, one of America's greatest wonders, from Las Vegas in a day—albeit a long day. The South Rim is the most popular tourist spot and is about five hours from Las Vegas. The North Rim is a little further, but less than three hours from Zion if you decide to combine parks. 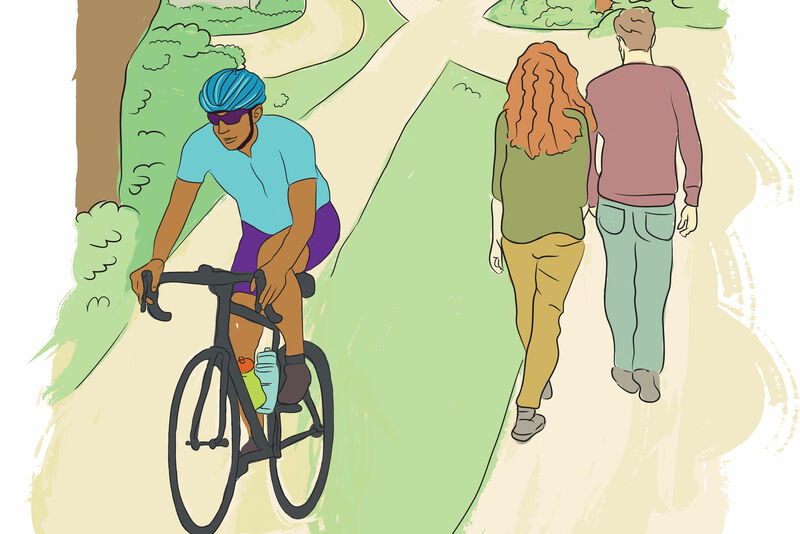 Here's another reason to make it a combo trip: there are fewer crowds on the north side and a far more intimate feel than its southern neighbor. Many travelers visiting these parks opt stay in Kanab, since it's situated perfectly in the middle of the triangle formed by Bryce Canyon, Zion and the North Rim of the Grand Canyon. Much closer to Vegas is the lesser known western side of the Grand Canyon, which isn't part of the national park but is instead on a Hualapai reservation a little over two hours away from Sin City. For about $80, tourists can access the tribal lands and walk on the clear (and controversial) Grand Canyon Skywalk to view the almost 5,000-foot drop-off directly below their feet. 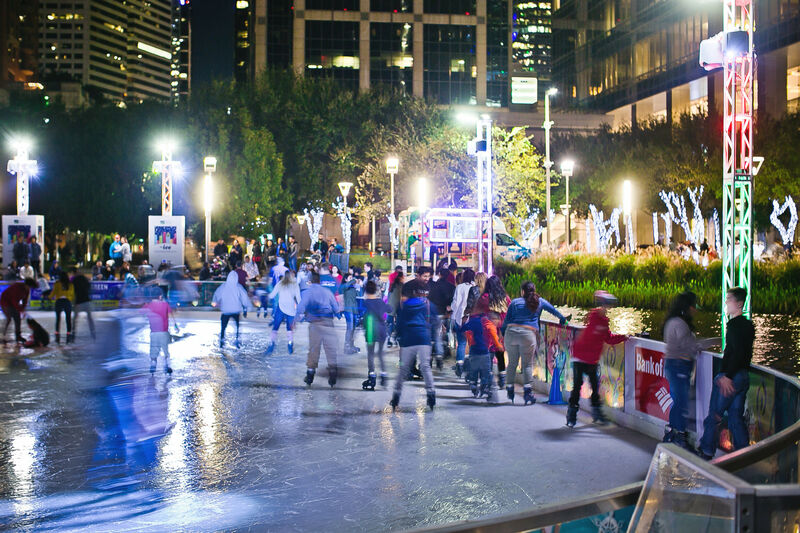 If driving isn't your thing, there are also many helicopter rides offered along the Vegas strip that can get you to the canyon and back in time to have dinner and see your Cirque show. Scenes in Star Wars were filmed in Death Valley National Park at areas you can visit today, including Desolation Canyon and the Mesquite Sand Dunes. Death Valley, finally, is the closest national park to Vegas and can be reached in two hours' drive west. There are a couple of places to stay inside the park and nearby, but you could visit a great deal of the park in a day if you get an early start. 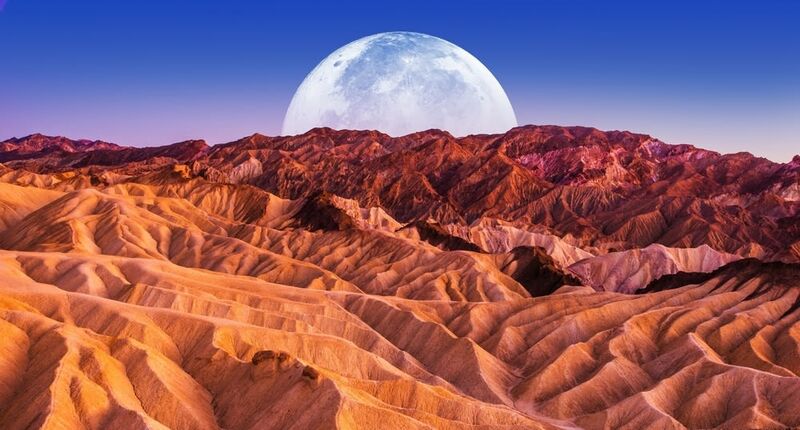 Death Valley is more beautiful than the name implies, with stark, unearthly views that—no surprise—have famously been used for alien planet scenes in movies such as Star Wars. It is also consistently monitored as the hottest place on earth, so summer months might not be the best time to explore it. On your way back, you can stop in ghost towns such as Rhyolite, which only existed for 15 short years before being abandoned to the desert climate. On a side note, naming a town Rhyolite is never a good idea if you want it to last. So next time you're in Vegas, have the slots have hypnotized, and find your days running together, take a break and see some of America's natural wonders just outside the casino doors.